GM says the whole concept is still theoretical for now. No one’s data has been sold (or “licensed,” as GM prefers to call it). 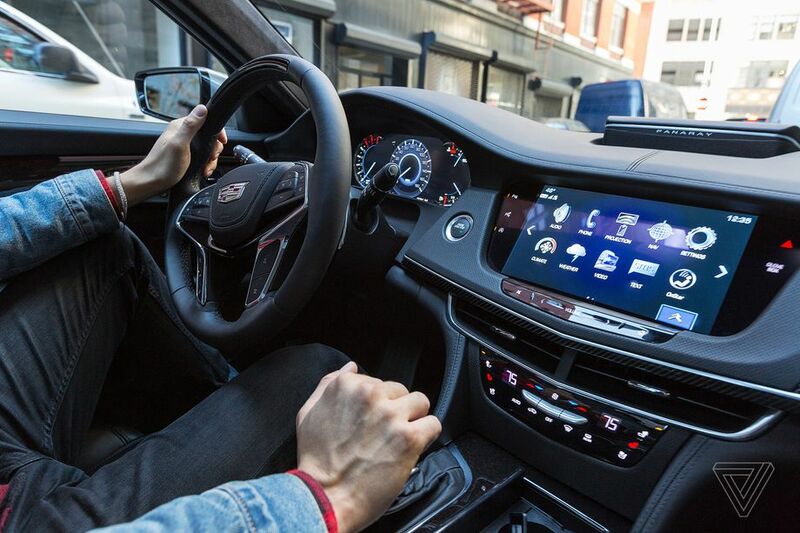 But GM spokesperson James Cain says that connected vehicle data can help develop more accurate ways to measure radio listenership. That could prove useful to the terrestrial radio industry, which continues to lose territory and ad dollars to digital streaming services like YouTube, Spotify, and Apple Music. And GM sounds happy with the result. I am probably going to drive 90's era cars until I die or it's impossible to afford gas. See the deal is confront the cops at a Donut Shop and it totally screws them up. who is GM trying to bullcrap? aside from college stations, you hear what record companies pay to have played on the radio. even an old man like me gets it; your data is a commodity - now more highly "valued". and i remember getting paid to take surveys; i think its only fair GM gives a you break in financing then. Ayup! No gps or anything. New enough to have the good fuel injection tho. My 1997 Ford Thunderbird only has 105,000 miles on it and that 2 ton V8 powered plushmobile averages 27 mpg. There was a time when big screens on the dashboard were outlawed because they would distract the driver. I still prefer a dark interior at night as all that bright light makes it hard to see. And from Tesla's EULA that I read last year they are probably gathering the same type of data. You're paying premiums for the products and you're still the product. The smartphone industry has been infecting all other domains with the telemetry crap. Unless they are going to drop the cost of cars because of the extra amount of money they are going to make off my data (which they wont) or if i get a cut of the money (we wont) then GM can eff right off. I get the whole selling data if someone is providing you a service with no monetary charge, and even then it can be iffy. But if you are going to charge a large sum of money for a car then try to make more money off of people with their data, then we need laws in place that force companies that people must get a majority cut of all money made off of the data. Now, give me a free CTS-V and zero maintenance fees then you can have what ever data of mine you want. At what point should personal data be considered a form of currency/commodity and companies have to pay us to have it and use it. Last edited by Nineball_Seraph; 10-18-2018 at 11:51 AM. It's about time they shut down the classic radio stations really. Waste of frequencies for decades now, playing the same old crap and talking over it with commentator or advertisements. Who wants to listen to FM radio in 2018? Or should it rather be called listen to FM advertisements in 2018? oh and dont forget, the police will subpoena to have access to this information...you know, for national security purposes. I'm almost there with you! My base 2012 Mustang has an aux cable for music, but no other frills than that. It makes just over 300HP and get's me about 30mpg highway with the summer tires on. My 1996 Ranger on the other hand, I love it, but it's really basic. I don't need screens in my cars, they just need to work.